The right amount of pressure is integral to your cheese making! 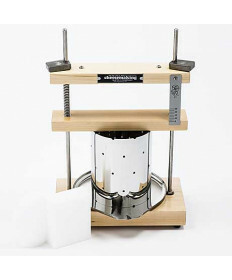 Add a cheese making press to your cheese making supplies by shopping our selection below. Our selection includes presses from New England Cheesemaking and Jack Schmidling Productions. Shop our selection today.